A replica of the lift system used to hoist and release deadly wild animals onto the Colosseum’s floor has been unveiled inside Rome’s ancient amphitheater. The Colosseum was not only ancient Rome’s largest amphitheater, it was perhaps the empire’s goriest slaughterhouse. For approximately 450 years after its completion in A.D. 80, the Colosseum—officially known as the Flavian Amphitheatre—hosted Roman blood sports such as gladiators fighting to the death, crucifixions and even mock sea battles in which hundreds of prisoners of war were killed or drowned. 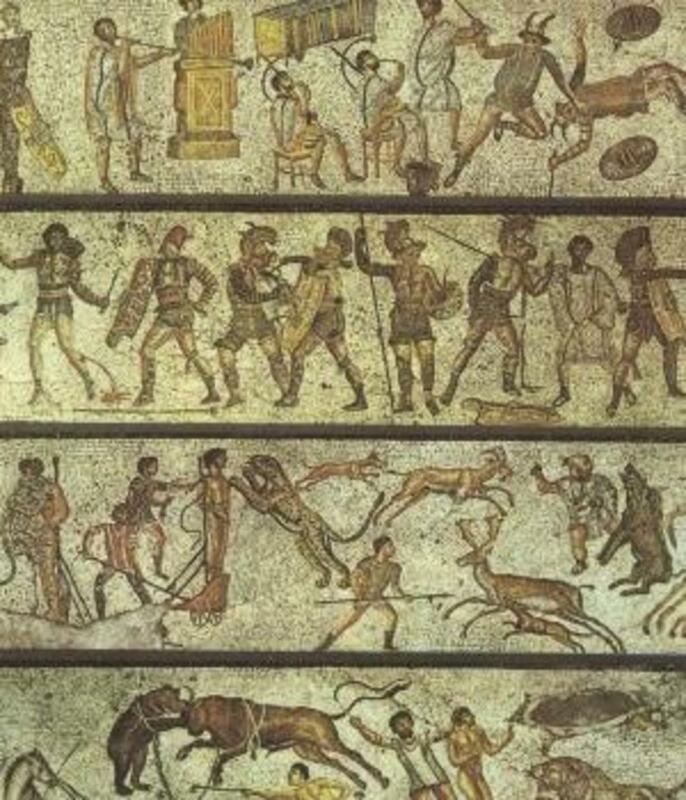 Another popular Roman pastime was to release wild animals into the Colosseum to fight with each other or human combatants in front of 50,000 cheering fans. Specially trained warriors known as “venatores” and “bestiarii” staged elaborate hunts of a menagerie of exotic beasts culled from the far ends of the Roman Empire such as lions, tigers, panthers, bears, wolves, boars, crocodiles and even elephants captured in north Africa. Sometimes Roman authorities released the snarling animals into the arena to render capital punishment by mauling and eating criminals and prisoners of war tied to stakes in what was called “damnatio ad bestias” (“condemnation to beasts”). Scholars believe hundreds of thousands of animals were sacrificed to quench the blood thirst of Roman audiences. According to one contemporary account, 9,000 animals were slaughtered during the 100-day festivities ordered by Emperor Titus to mark the opening of the Colosseum. The Romans caged the fierce animals inside the Colosseum’s torch-lit labyrinth of chambers and passageways, known as the hypogeum, underneath the arena’s wooden floor, which was covered with sand to soak up the blood of combatants. A sophisticated system of 28 lifts, powered by slaves, hoisted the caged animals 24 feet up to the Colosseum’s floor where the lid of the cage and a trap door opened simultaneously to allow the animal to run up a ramp into the amphitheater to the roar of the crowd. 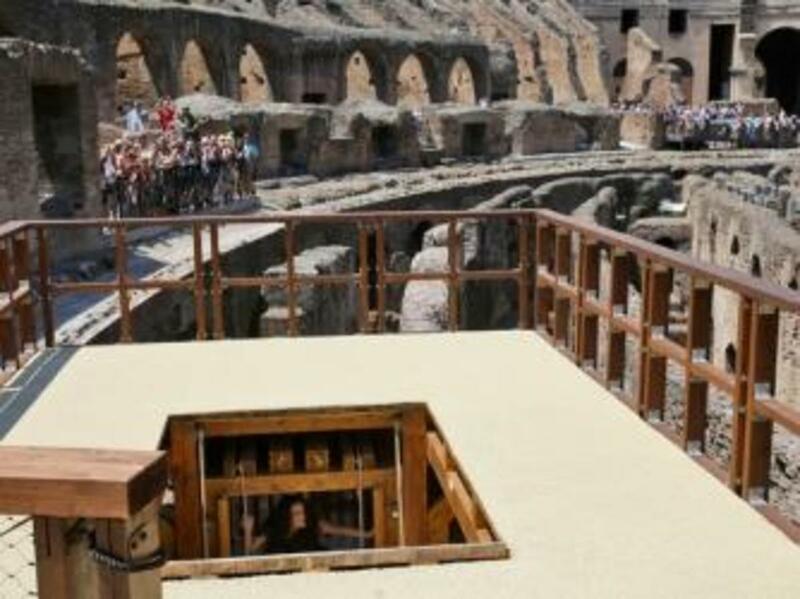 When closed, the trap door could support the weight of gladiators and animals above. In addition to wild animals, the elevators could have been used to lift props and pieces of scenery for Roman productions. The functional elevator lift system on display at the Colosseum. Last Friday, Italian officials unveiled an exact replica of one of the elaborately engineered contraptions that released the wild animals into the amphitheater. 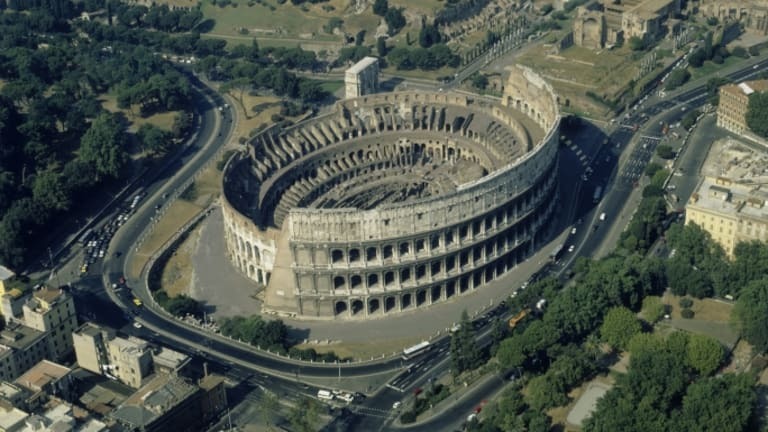 The replica, constructed by the producers of the documentary “Colosseum: Roman Death Trap,” was based on the research of archaeologists who studied the Colosseum’s construction and the deep cuts and rope marks that still remain in the hypogeum. The project team harvested timber from the mountains outside Rome using the same tools employed by the ancient Romans such as an axe, two-man saw and wedge. 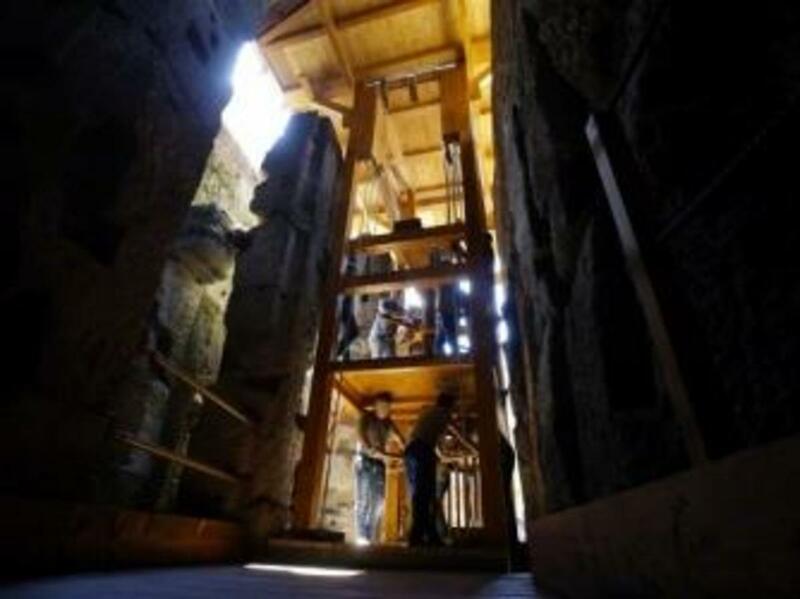 The wooden lift and trap door were constructed in a workshop and transported to the Colosseum. Since the ancient arena is protected as a World Heritage site, the system was pre-assembled outside of the Colosseum and dropped into place as a self-contained unit by an enormous crane that lifted it over the amphitheater’s exterior walls and delicately placed it on the hypogeum floor. The elevator system is powered by eight men on two decks who turn a huge wooden shaft connected by a series of ropes, pulleys and lead weights to a wooden cage capable of holding more than 600 pounds. 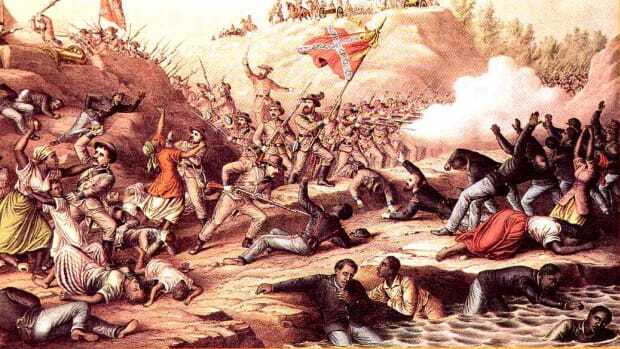 The manpower slowly raises the cage to the arena floor where the trap door opens. The elevator lift system and trap door. During the filming of the documentary, the producers selected a wolf to be the first animal to successfully make the ascension in the replica. “It was the first time that a wild animal had been released into the Colosseum in 1,500 years,” director Gary Glassman told London’s Telegraph newspaper. “I would love to have used a lion, but there were obvious safety issues involved. In the end we chose a wolf because it is the symbol of Rome.” Once released into the Colosseum, the wolf met a much better fate than its ancient forebears. According to the Telegraph, the beast was rewarded with a biscuit after running to its handler. 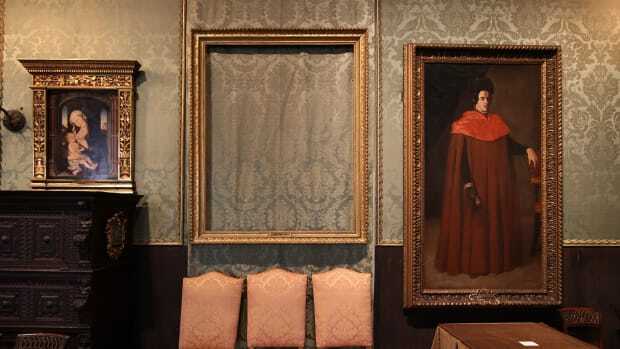 Once filming had concluded, the documentary producers donated the replica to Italian officials, and it was unveiled inside the Colosseum last Friday. 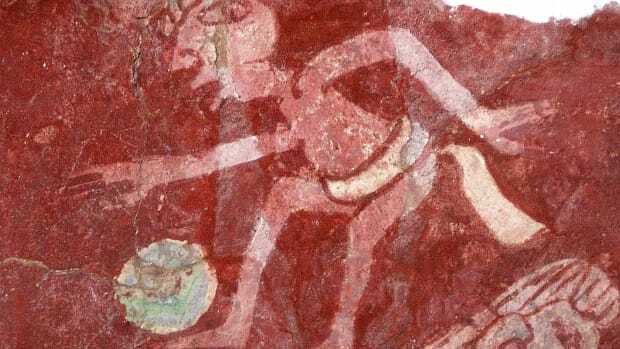 During the ceremony, a contemporary dance artist “who twisted and turned in animal-like fashion” according to the New York Times, was hoisted to the floor of the Colosseum and released through the trap door. 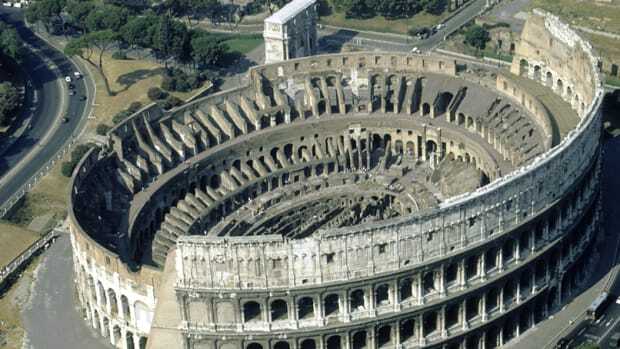 The replica is now a permanent exhibit that can be viewed by visitors to the Colosseum’s hypogeum. “It will help people understand exactly what the Colosseum was like,” senior Rome cultural heritage official Francesco Prosperetti told the Telegraph.